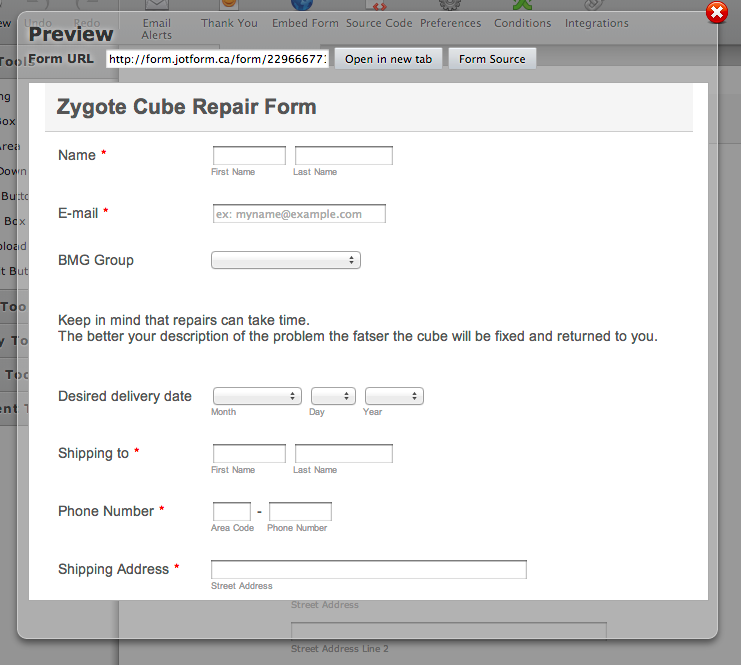 why doesn't my form refresh when I make changes on the jotform site? is there anything i need to do to update the iframe version? You shouldn't have to update anything on the source code of your site. Is the problem still there? I have compared both versions. They seem to be exactly the same. Hvae you edited the correct form? Let us know if the problem continues!